While the festivity and cheer of the holiday season may seem far away, September is the busiest month for booking party venues. 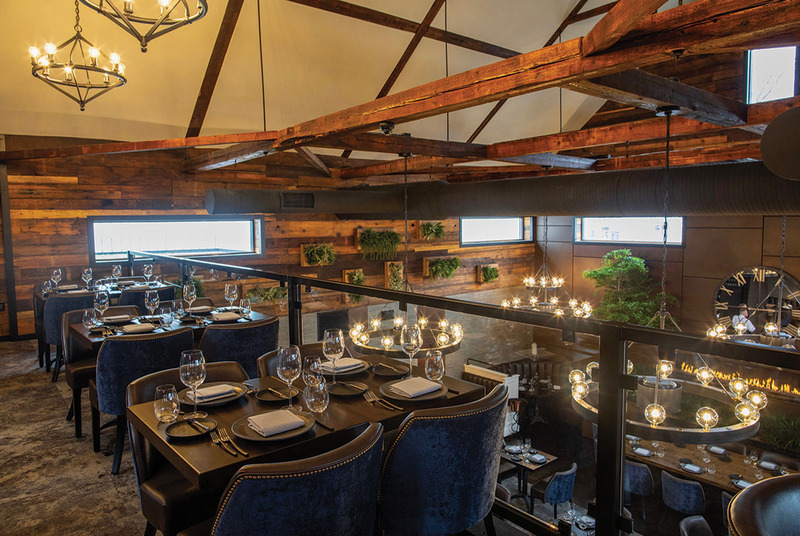 Set the stage for your next big soirée at one of these fabulous Boston spaces. We’ve added several new additions to our annual list, including both casual and formal venues that can accommodate groups of all sizes. Behind its iconic Tudor-style facade, Alden Castle reveals an architecturally stunning event venue. 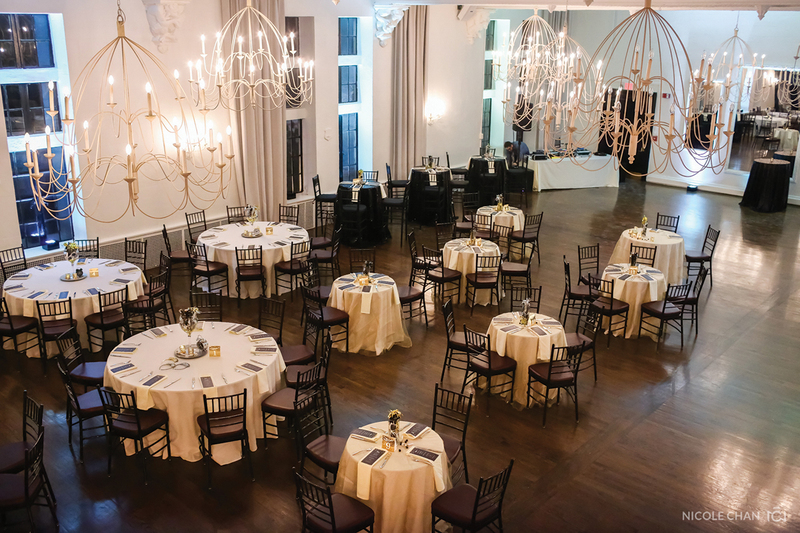 Seasoned meeting planners choose historic Alden Castle for its inspiring decor, ease of setup, and location: 3.5 miles from Boston’s Financial District, 2.2 miles from Copley, and across the street from a Green Line T stop. Discerning engaged couples choose Alden Castle for its old-world grandeur and vintage romance. Guests past, present, and future have always valued its gracious beauty, enviable location, and one-of-a-kind charm among the buildings in Greater Boston. 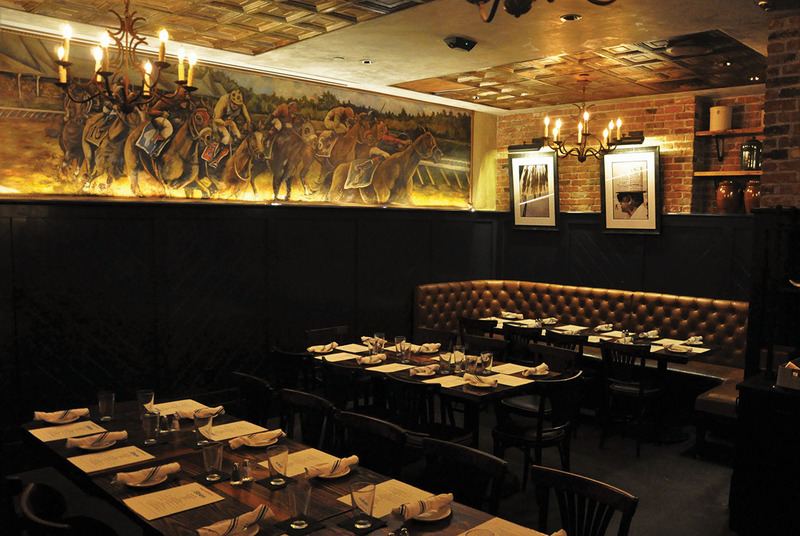 Its rich history holds stories dating back to the 1920s where Red Sox General Manager Eddie Collins and legendary Babe Ruth could be found in the original speakeasy, socializing and playing cards. This holiday season, Boston Park Plaza introduces Avenue 34. 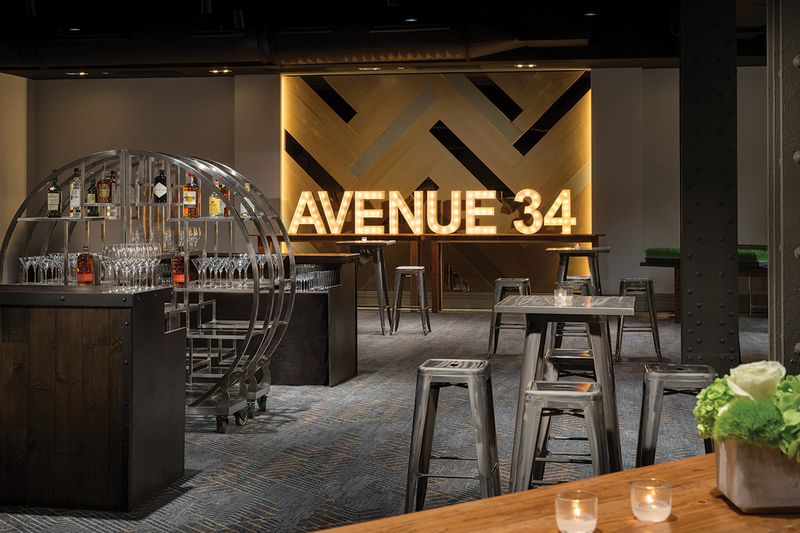 Contemporary and chic, Avenue 34 features industrial finishes and exposed beams to create an urban yet sophisticated vibe, and is the perfect complement to the hotel’s more traditional event spaces. 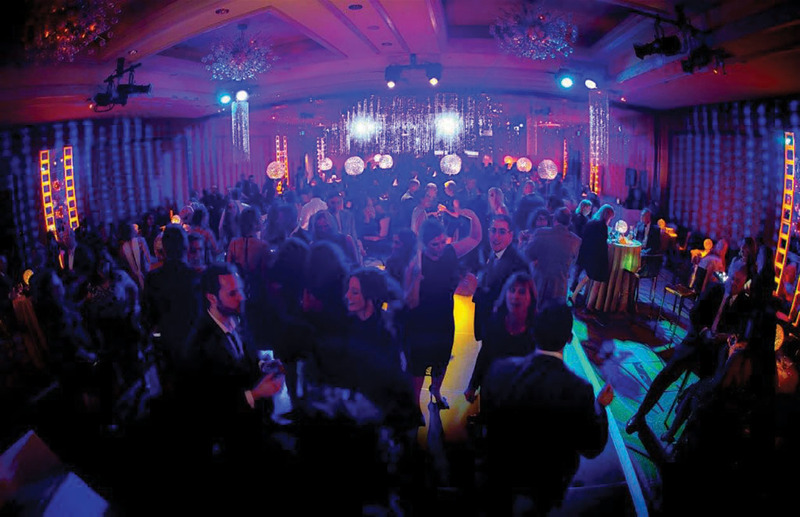 For more than 90 years, Boston Park Plaza has been the setting for countless spectacular events. From lavish affairs in the Grand Ballroom to intimate gatherings, the hotel is the perfect location to toast the season. And with Avenue 34 available for holiday parties, guests can think beyond the traditional hotel ballroom for their holiday event. The Beehive is the perfect venue for holiday parties, business functions, social gatherings, and weddings. The unique space works just as well for “come as you are” gatherings or special occasions calling for a more upscale atmosphere. With great food, an approachable wine and beverage program, accommodating staff, and stage for live entertainment, a celebration at The Beehive is a superbly memorable experience! 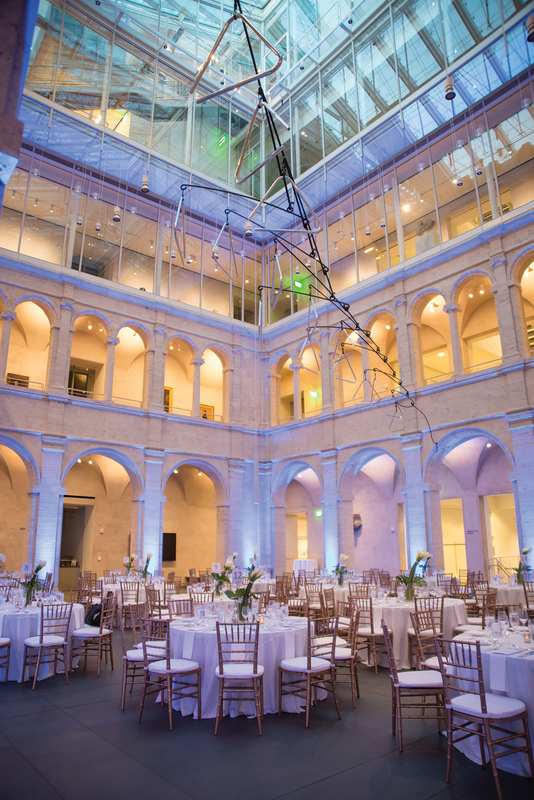 Nestled in the heart of Copley Square, the Boston Public Library is one of Boston’s best event spaces. Bursting with history, stunning architecture, and breathtaking rooms, the library has long been a favorite venue for corporate and private events. 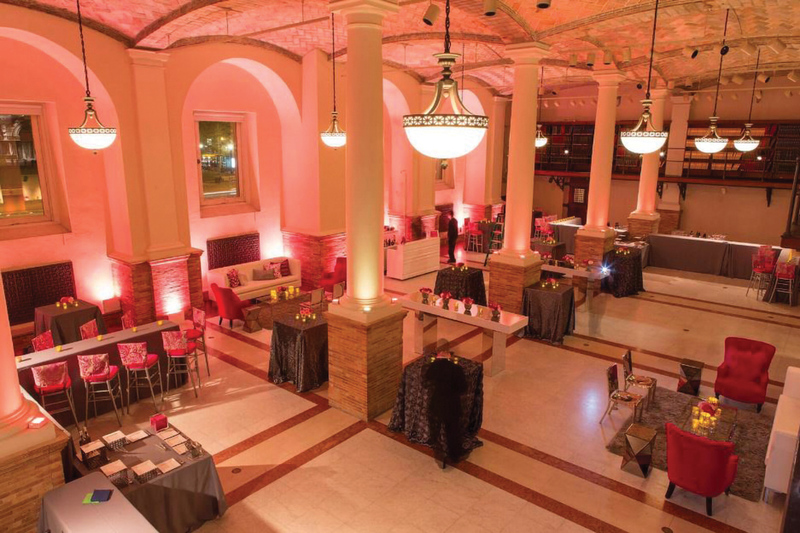 From serious dinners and celebrations in Bates Hall to cocktails in the Guastavino Room, its versatility and many memorable rooms make the Boston Public Library the choice venue for a Boston-centric corporate event. The holiday season at the BPL is truly a gift to your guests. The Catered Affair knows the importance of staging the perfect corporate event. Combined with the world-class spaces and capabilities of the renowned Harvard Art Museums, The Catered Affair will design a customized event, from the most intimate of gatherings to the grandest. Host a sophisticated black-tie soirée under the stunning glass ceiling in Calderwood Courtyard with an elegant three-course seated dinner, or go for festive with a holiday party cocktail reception with bold lighting, refined hors d’oeuvres, and a sparkling toast inspired by one of the museum’s collections. The ICA is the perfect place to host your special event, combining stunning works of art with breathtaking views of Boston’s harbor and the Seaport District skyline. The ICA’s exclusive caterer for all events, The Catered Affair, creates fresh, creative, and exquisite cuisine for some of Boston’s most recognizable events and institutions. Working with a team of professionals, they transform the space to reflect your personality and vision, and will make your next event a masterpiece. Located near historic Fenway Park on Lansdowne Street, Cheeky Monkey Brewing Co. is the perfect spot for a one-of-a-kind holiday celebration! Guests will partake in an array of activities, such as trying the house-brewed craft beer, enjoying the approachable and cross-cultural street food, or playing pool, ping pong, and shuffleboard. The unique venue boasts eclectic décor and a cheeky vibe with semi-private and private spaces that accommodate eight to 75 guests or up to 500 guests on an exclusive buyout basis. Experience everything Cheeky Monkey has to offer this holiday season! 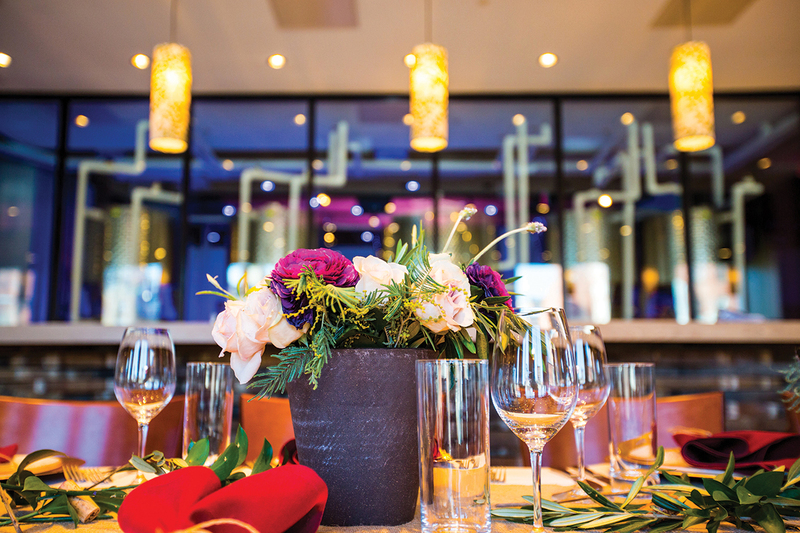 Indulge your senses and host your next event in urban wine country. The modular space can be tailored to accommodate each individual client; whether an intimate seated dinner, cocktail reception, or wine tasting, City Winery has the perfect space to suit your group perfectly. It is their goal to provide each and every guest with an unforgettable experience! Looking for something different for this year’s holiday party? Transport your guests to Japan for the night! 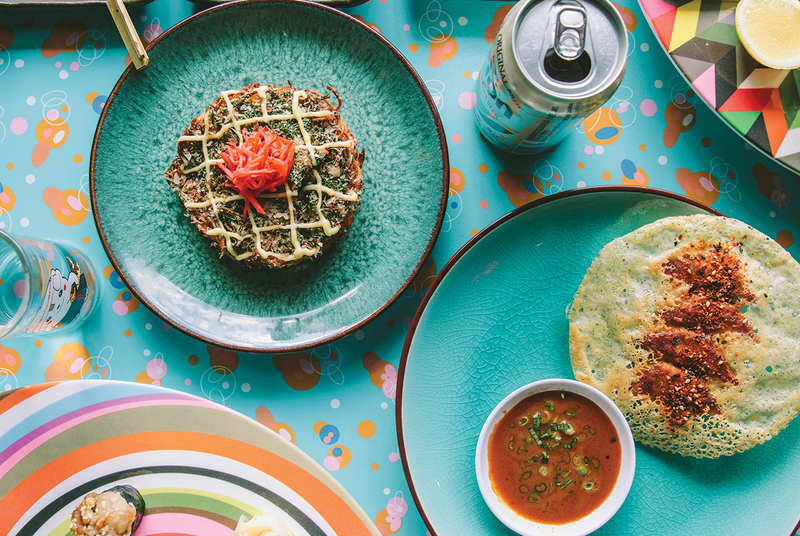 From James Beard Award-winning Chef Tim Cushman comes a fun and funky tavern serving up craft cocktails, sake, and mouthwatering Japanese cuisine. Dig into platters of fresh sushi while soaking up the rock-and-roll vibe. 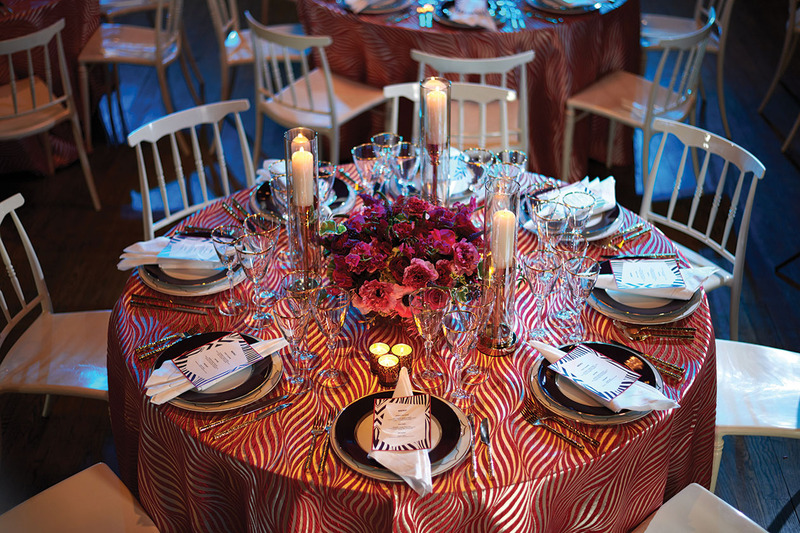 From intimate dinners of 15 guests to a blowout bash for 200, Hojoko can transform to accommodate any group. Email events@hojokoboston.com for more information. Spread your good cheer well into the new year! Experience the art and science of craft beer. Holidays are a great time for your employees to come together to celebrate the successes from the year. Create a memory that will last all year long. Brew your own custom craft beer with the help of brewmasters. 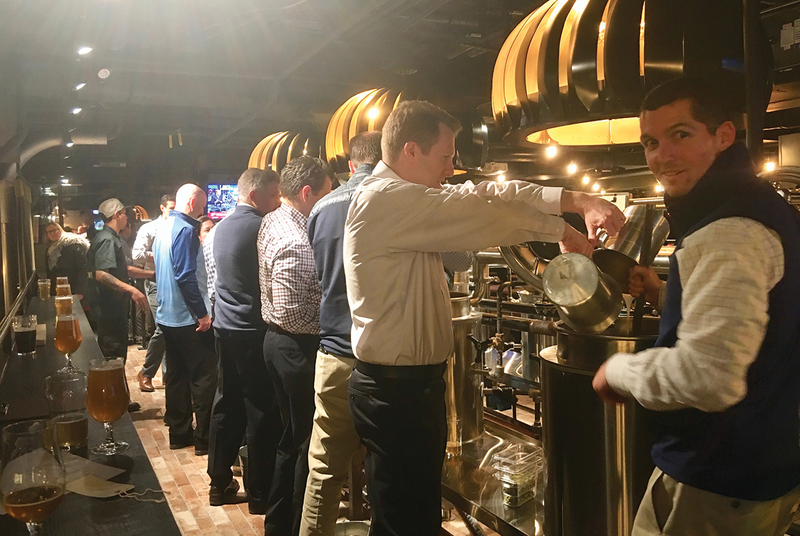 Enjoy delicious craft beer, cocktails, and amazing food while brewing. Design your own custom labels to capture the fun and ring in the new year with your own custom craft beer. Book your event today! Contact Karen Cooper at 617-283-9581 or email karen.cooper@hopstersbrew.com. 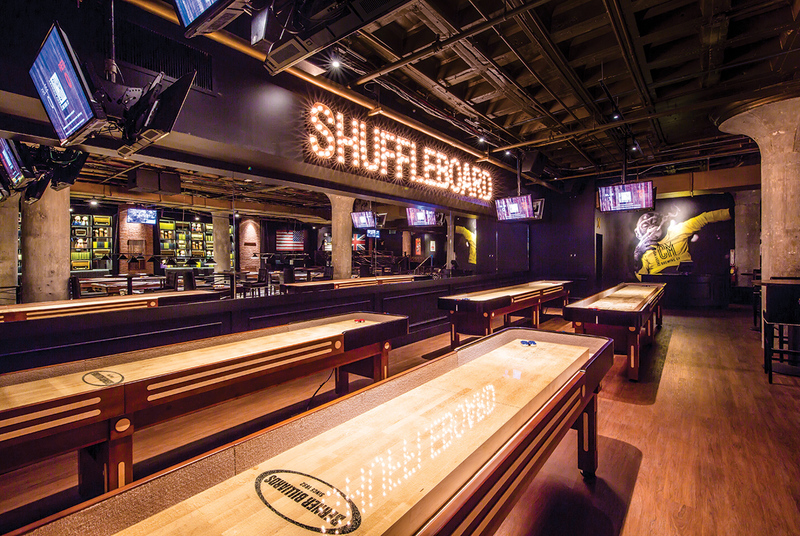 With more than 30 years of private event experience, Lucky Strike Social Boston (formerly known as Jillian’s) is perfect for holiday parties at their newly renovated, multi-level venue in the heart of Fenway. Enjoy the unique private and semi-private spaces that accommodate parties of eight to 1,500, where guests will enjoy a menu of regional classics, festive cocktails, and endless entertainment. With a sophisticated backdrop to unfettered fun, Lucky Strike Social Boston is your one-of-a-kind experience for holiday parties. The staff is dedicated to customizing an unforgettable holiday celebration! Need a venue to celebrate all of your holidays? 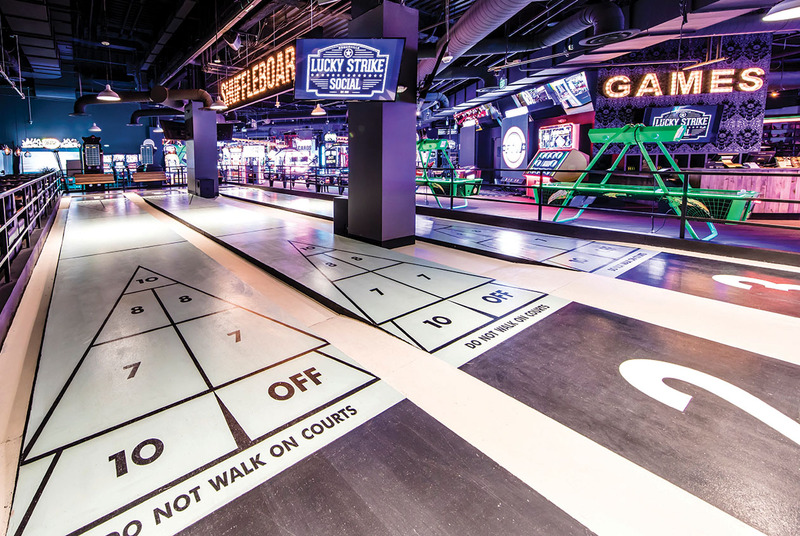 Lucky Strike Social Somerville can accommodate parties of all sizes with a 36,000-square-foot space with an open kitchen, bar, and dining space on the first floor and bowling, games, floor shuffleboard, island bar, and private event space on the second. The sleek, upscale design adds a classy feel while you enjoy exceptional chef-driven food and craft beverages. 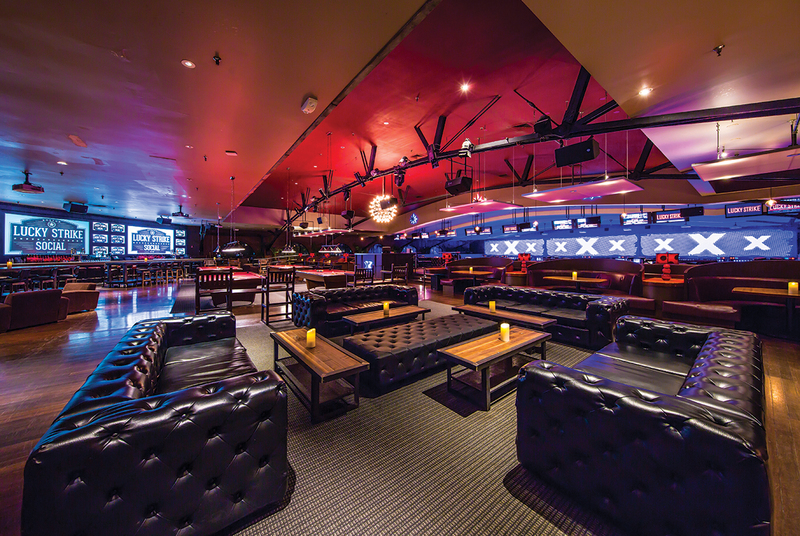 This venue is perfect for holiday parties of any kind! With a staff dedicated to making guest’s night special and a venue in a class by itself, your holiday parties will be unforgettable. Celebrate the holidays in exquisite style at Mandarin Oriental, Boston. Located in the sophisticated Back Bay, Mandarin Oriental, Boston provides a stylish setting for a holiday party not soon forgotten. The hotel offers a magnificent ballroom overlooking Boylston Street, as well as four additional venues for more intimate cocktail receptions or seated dinners. Combining fresh seasonal ingredients, the talented culinary team adds an innovative twist to classic flavorful fare. 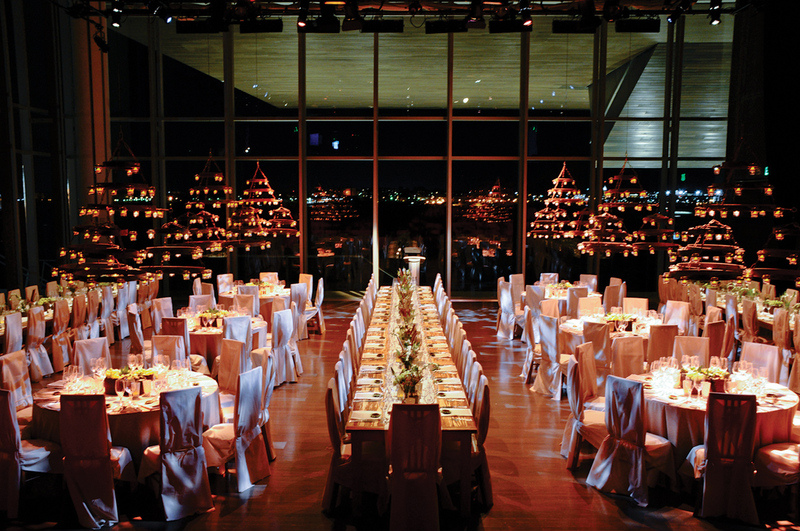 The events team will work closely with you to ensure a flawless event for your guests. Set the bar high, and celebrate in style! With more than 400,000 square feet of combined warehouse space and the largest selection of linens, tables, flatware, china, and catering equipment in the country, Party Rental Ltd. is fully capable of meeting the needs of any first-rate event. If you are planning a dinner for 500, a picnic for 10,000 or even cocktails for 20,000, they pride themselves on not only being able to deliver anywhere in the country, but with accuracy time and again. They guarantee you will be delighted with their industry-leading offerings and exquisite service. 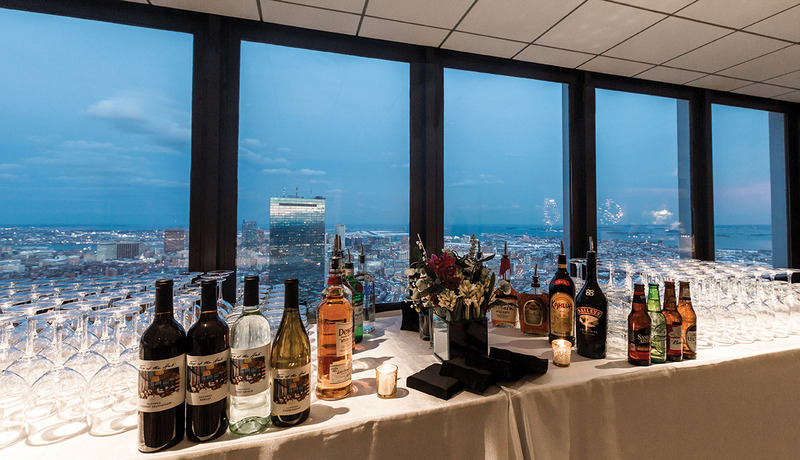 Offering sweeping views of the Boston skyline, critically-acclaimed cuisine, and wine list, Top of the Hub and Skywalk have been event destination favorites for more than 50 years. The winning combination of fine food and dramatic views has hosted weddings, corporate parties, holiday gatherings, and high profile clientele, earning them the reputation for being the go-to destination for events that are certain to impress the most discriminating diners. Experience. Atmosphere. Taste. That is the essence of Towneship. Housed in a gorgeous, reclaimed 150-year-old church and located just a few doors down from The Farmer’s Daughter in North Easton, Towneship has a casual elegance that focuses on superior service and the highest quality locally-sourced ingredients for a carefully curated menu of classic New England dishes with a creative edge. 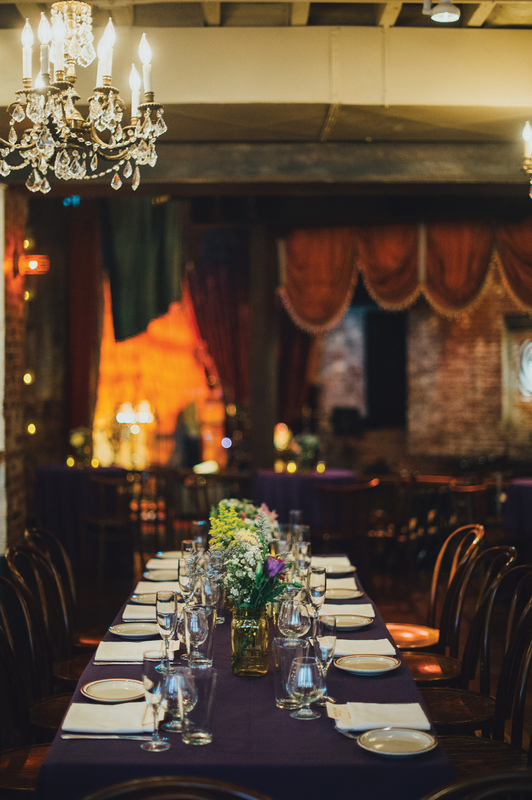 With its original cathedral ceilings, mezzanine-seating overlooking the main dining room, al fresco dining, and multiple private event spaces, Towneship has a variety of options for any occasion. Conveniently located across from the Broadway T station in South Boston, Worden Hall is known for its casual yet refined food and décor. This spacious restaurant offers the highest level of hospitality from a team of dedicated and experienced staff. Their menu features a thoughtfully curated beer selection with handcrafted cocktails and an extensive wine list. The private dining room is perfect for any occasion, from casual cocktail parties to seated dinners. Worden Hall’s team is available to help you celebrate any occasion. Email info@wordenhall.com to learn more about what they can offer!